Posted September 5, 2018 by SCS Gearbox & filed under Monster Trucks. Most of the monster trucks that take part in Monster Jam shows today are well over 10,000 pounds. And yet, they’re still able to perform incredible feats that defy both logic and physics. For further proof of that, look no further than the video here, which features 21-year-old Monster Jam driver Tyler Menninga pulling off an absolutely amazing feat in the Grave Digger truck during an event in Tampa, Florida in August. Menninga is one of eight drivers helming Grave Digger during Monster Jam events this year. Over the last few years, he has made a name for himself by pulling off a few seemingly impossible tricks in the Grave Digger truck. But the one he performed in Tampa may have been the most impressive one of his young career. At the event, Menninga managed to pull off a nose wheelie, which has become his go-to trick during Monster Jam shows. He put Grave Digger up on its front two tires and held the truck steady before inching it forward while in a vertical position. It was truly something to see how Menninga was able to control the truck while driving it in this position. It suggests Menninga likely has a long and successful Monster Jam career ahead of him. We should point out that this is not the first time Menninga has pulled a nose wheelie off. In fact, it’s not even the longest nose wheelie he’s ever done. He set a record at an event in Cedar Rapids, Iowa in 2017 when he parked Grave Digger up on its front axle for almost a minute and a half. But his latest nose wheelie was still one of the best things you’ll see during a Monster Jam show this year. Check out the video above to see Menninga in action. 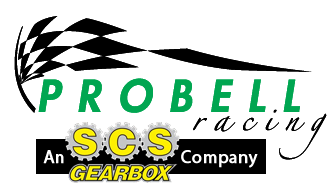 SCS Gearbox is thrilled to see a driver like him making noise in Monster Jam and is proud to supply those who need parts for their monster trucks with them. Call us at 419-483-7278 today to get your hands on high-quality monster truck parts.